As the Golf lore goes. Pandit Nehru, the first Prime Minister of Free India wanted to visit Chandigarh. This was during late 1959. He was conveyed to postpone his visit since the Chief Commissioner that time was away to Delhi on a golfing holiday. Pandit Nehru was surprised to know that people have to travel to Delhi to play golf,” Why can’t Chandigarh have its own Golf Course”, he is understood to have remarked. And thus the Chandigarh Golf Club got founded. Not debating the veracity of the anecdote, the fact is that we all enjoy a dream Golf Club. 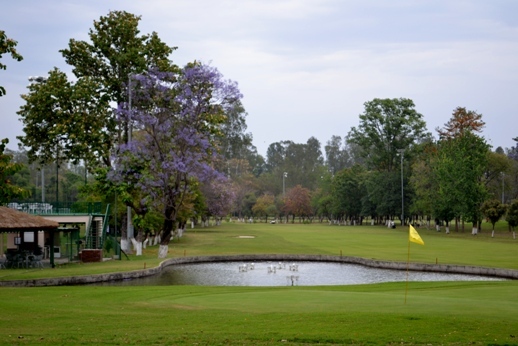 The Chandigarh Golf Club came into existence in 1962. Some of the milestones and personalities involved towards making it happen are as follows. 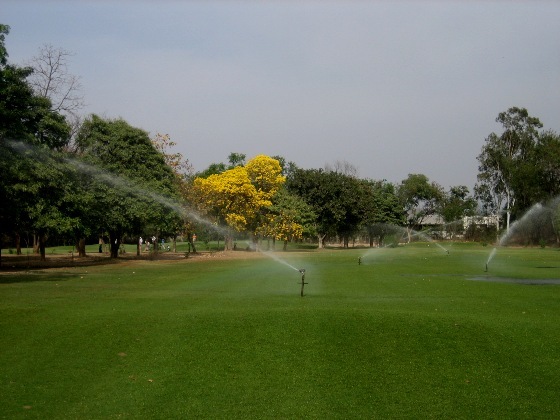 Punjab Government under the then CM, S. Pratap Singh, which allotted the land for the golf course. Prominent names of the likes of Mr HS Brar, the sports minister, AL Fletcher, the financial commissioner, Mr BS Rosha, IGP Haryana, MrPN Thapar, Chief Secretary, Punjab, VC PAU Ludhiana, JS Sethi put in unstinted efforts towards the project. TK Sehgal was the first Honorary Secretary of the club from 1962-1977. The office of the club was housed by him at his factory, ‘Meters and Instruments’. He hosted meetings and bore all expenses. BS Grewal, AN Grover, Dr. PN Chuttani, Dr. SS Anand, Gp CaptJaspal Singh, Brig Naresh Parshad, KS Narang, KN Kashyap, Kanwar Moti Singh were the handful members when the club started. Sehgal’s office assistant Mr. Seth took care of the billings and other office work. It was during February 1977 that Subedar Kartar Singh was employed by the club. Assisted by Pandit Gopal Dutt, they took over the office work. Latter is currently the oldest serving employee at the club. The first governing body was formed with PN Thapar, ICS, Chief Secretary, Punjab as the President and JS Sethi as the Captain. Mr. HS Malik, a pioneer of Indian Golf and Mr. Goswami, the course manager of Delhi Golf Club laid out the front nine holes on the side of the road that houses the club. These nine holes comprised nine tees and eight greens, with the first green doubling as the third one too. There were six par fours, one par five and two par threes with a total 35 par. Another green was added for the first hole, a par five over the shed and thus the par for front nine came to 36. Later, three more holes were added, courtesy the then Governor, R. Dharamvira and members could either play 12 holes or repeat a few to play 18 holes. The U.T Horticulture Department looked after the maintenance of the course. Though the club took over the tees and greens, fairways continued to be with Horticulture Department. Members were few and the subscription was twenty rupees. The club kitchen was operational only after the building was constructed before which members were self-contained for tea and refreshments and for want of clubhouse or gazebos would cool off sitting under a tree. Club building came into being during 1969 on the initiative of Mr Dharamvira, Governor of Haryana and it was thereafter that the membership to the club started swelling. By 1977-78, with an increase in membership, it was decided to expand the course to 18 holes. S Kulbir Singh, Chief Engineer U.T was instrumental in facilitating the acquisition of land across the road. Mr. Simran Singh contacted Mr. Peter Thompson, the five-time British Open Champion to design the new course. Site plan of the existing course and a contour plan of the new course was sent to him. On receiving the new plan from Thompson, Mr Simran Singh, with the help of Maj BS Malhotra, the Honorary Secretary, started the work. Since the area was a riverbed of pebbles and stones, Maj Gen PN Hoon, who was at Chandimandir, chipped in with machinery and manpower from the Army to improve the area. During 1982, MrSimran Singh moved to Coimbatore on a coaching assignment. Col AP Singh was entrusted to give final shape to the course. The bulk of the work towards developing the course was accomplished during the tenure of Presidentship and Captaincy of Mr. Mann and Col AP Singh respectively. The layout underwent quite a few changes before it was brought to shape that it is in now. Interestingly, as per Peter Thompson’s plan, the third green was laid where the CGA currently exists since there was no road in between. The club shot to prominence on the map of Indian Golf when Mr Simran Singh started participating in tournaments organized by the IGU. He was often quizzed during his tours on the state of greens at Chandigarh as to whether they were actually greens or Browns! Kanwalinder Singh and Ajai Johl as juniors started representing Chandigarh through participation in Junior tournaments across the country. Kanwalinder was the first golfer from the region to participate in World Juniors in San Diego in 1980, hence setting a trend for others who followed. He also won the Sri Lanka Open Golf championship in 1983, five years after his father won the same event. Chandigarh Golf Club has been in the forefront in promoting junior golf .it was amongst the first to do so under the guidance of good old’ Mr Simran Singh. Jeev Milka Singh, Amandeep Johl, Amritinder Singh, Harmeet Kahlon, ParneetaGrewal, Irina Brar, Gurbaaz Mann, and Sandy Lehal are some prominent golfers that were an outcome of the training programmes. Significant to note that at one time the entire Indian Golf team comprised golfers from Chandigarh Golf Club. To make a golf club complete, it requires a well-balanced evolution. A great course, a nice ambience, a decent set of golfing members, a fulfilling 19th, sumptuous food and snacks, place to make merry and party, fitness avenues and above all a congenial atmosphere to play and socialize. 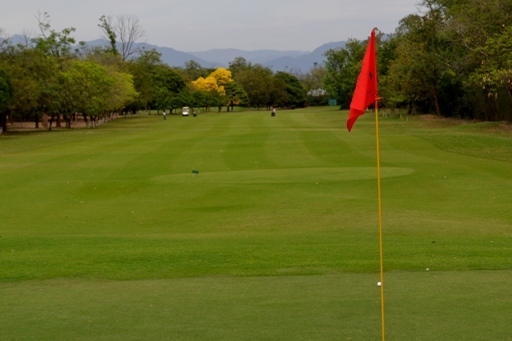 Management committees over the years have been vibrant and receptive to the needs of making Chandigarh Golf Club a most fulfilling golfing destination in Northern India and we dare say, they are on a correct path.